Head of Centre for Urban Network Evolutions (UrbNet) at Aarhus University (AU), Rubina Raja, was recently able to reveal an exciting and very meaningful collaboration: An ERASMUS+ financed international project called Ancient Cities: Creating a Digital Learning Environment on Cultural Heritage (AnCit). The project will contribute in making archaeology and cultural heritage a part of the teaching curriculums in schools internationally. You can read the AUs press release about the collaboration here. Leading experts in both cultural heritage and online learning/teaching are joining forces to create a shared Massive Open Online Course (MOOC). This will be targeted to a diverse, international audience, and the project is a major step when it comes to education, which means that UrbNet will be a part of influencing the learning about archaeology on an international level. Head of Center, Rubina Raja, says that “through this successful European wide Erasmus plus project UrbNet researchers have shown that excellence in research provides the basis for new and innovative teaching initiatives – also in classical archaeology”. Rubina Raja was recently in Rome to present yet another meaningful archaeological project to Her Royal Highness Queen Margrethe, which you can read more about here. AU is one out of six partners in the collaboration, which Assistant Professor Michael Blömer, the local AU-coordinator, is also a part of. He states, that “Our students can profit from the ancient cities project in a number of ways – they gain archaeological knowledge and qualifications in media production, improve their language skills and learn what it is like to work in an international, academic team. We hope to use this to be able to lay the foundations for subsequent research cooperation across Europe in classical archaeology”. Kiel University (project coordinator), University of Bergen, University of Birmingham, Paris 1 Panthéon-Sorbonne University and The Open University of The Netherlands are a part of the collaboration with AU. 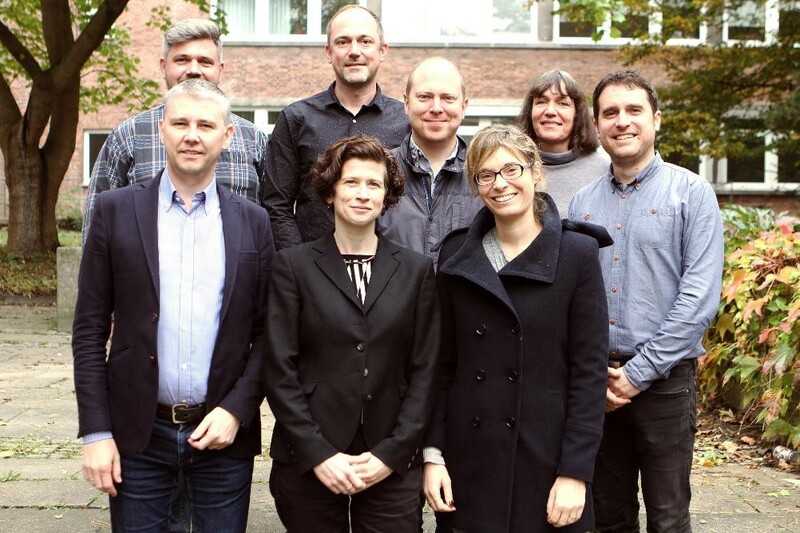 The researchers at a kick-off meeting in Kiel.